History: The name Flor de las cinco llagas or “flower of the five wounds” was given by 16th-century Catholic Spanish missionaries when they visited South America. 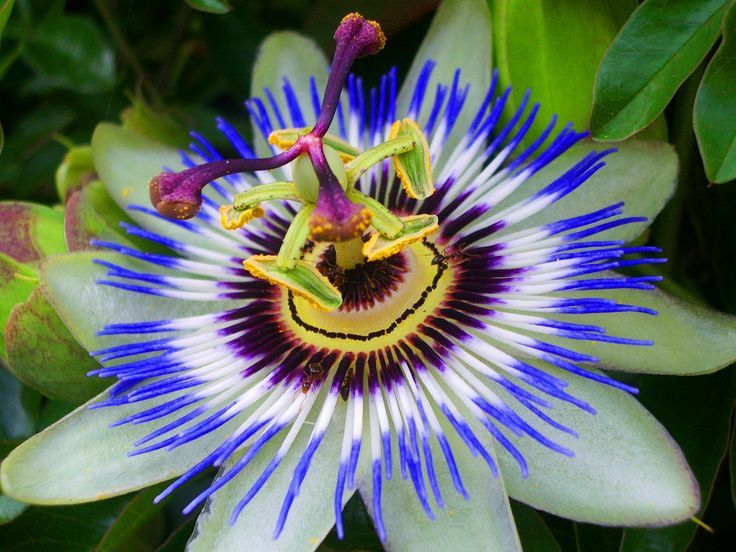 The passion flower was seen as a symbol of Christ’s crown of thorns, the five stamens for his wounds, and the five petals and five sepals as the ten apostles. 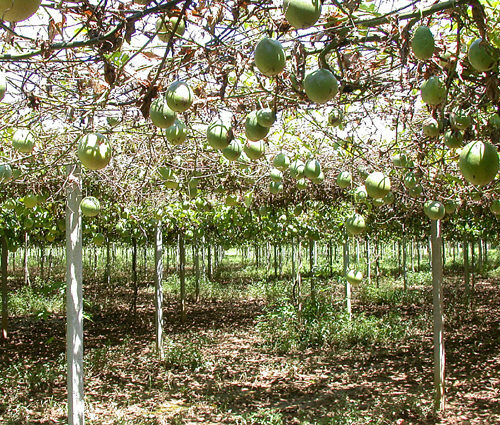 While it no longer bears religious significance, passion fruit is a now an important commercial crop in Australia, South Africa, and Southern Asia. 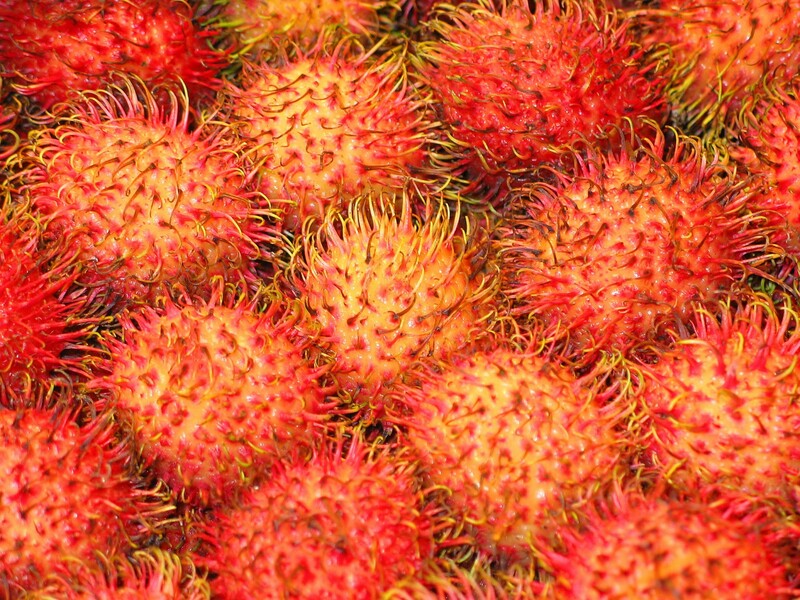 Where: an Asian market or your grocery store’s produce section; near other exotic fruit. If the passion fruit are firm and unripe, let them sit at room temperature until they start to shrivel up and soften. Once they’re ripe, place them in the fridge for up to 1 week. 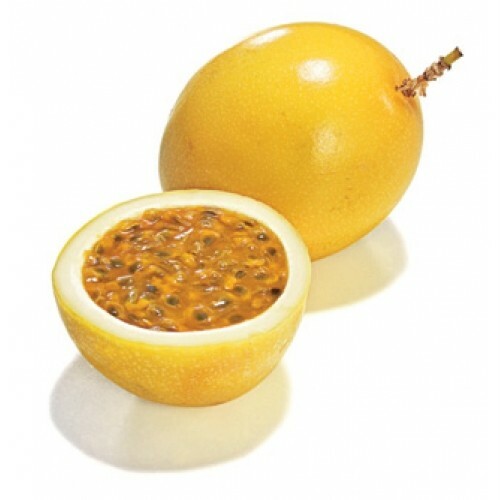 Passion fruit is botanically classified as a berry. Studies have shown that passion fruit juice has a slight sedative effect. Both the juice and flowers of the plant have been used to treat anxiety and high blood pressure. Further studies have shown that passion fruit peel extract relieves symptoms of asthma and osteoarthritis.